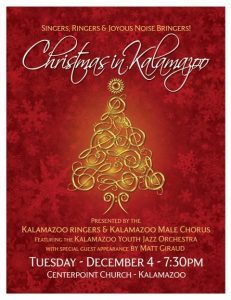 The Kalamazoo Ringers and Kalamazoo Male Chorus ring in the 2018 Christmas season with guest artists Matt Giraud and the Kalamazoo Youth Jazz Orchestra! 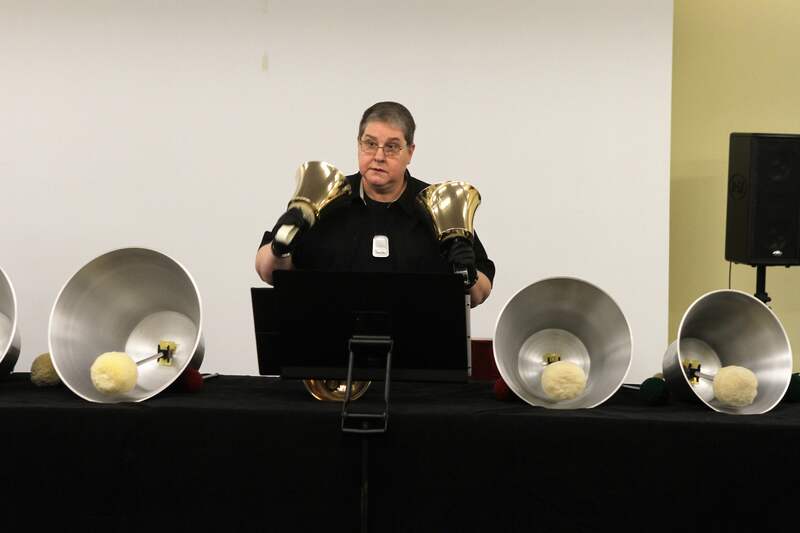 This event is open to the public and free for all. 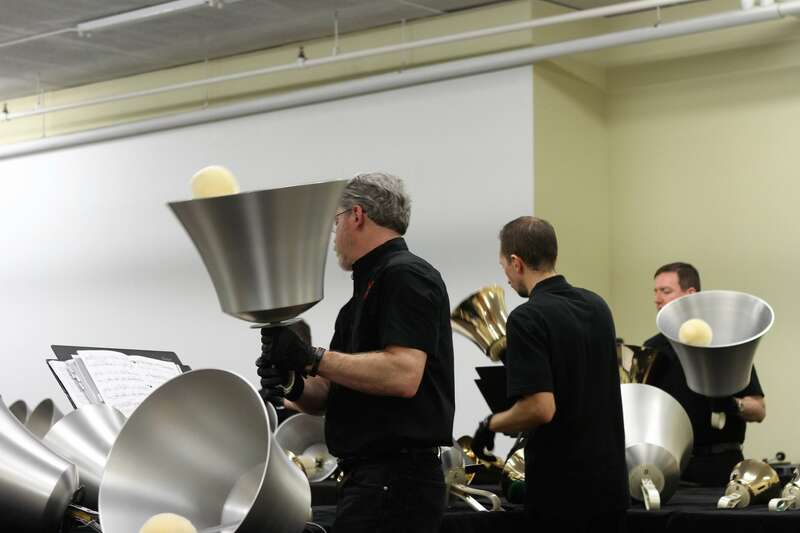 This concert is attended by over 1,000 people each year. 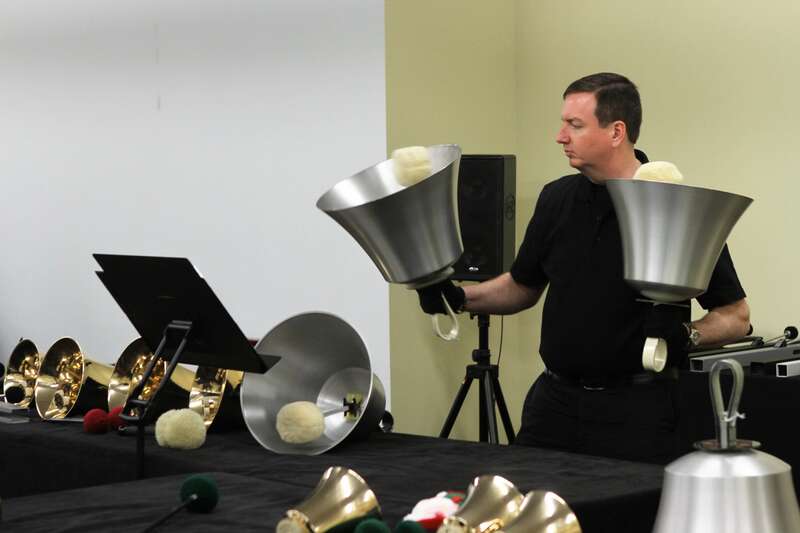 Bring a friend, come early, and be ready to open your hearts to a new Christmas season. 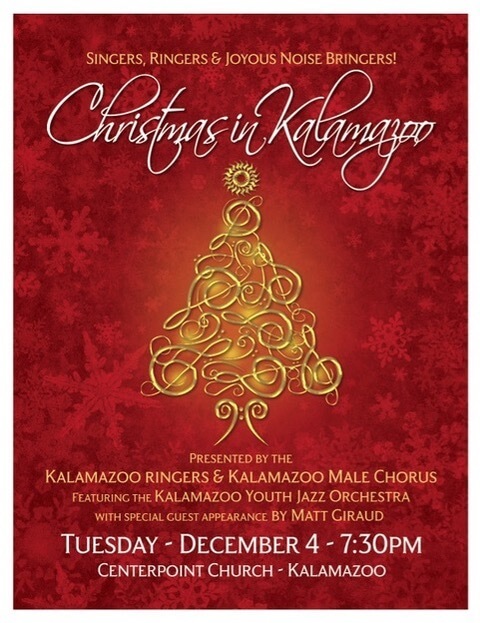 A free will offering will be taken at intermission to help offset the costs of the 10th Annual Christmas in Kalamazoo. 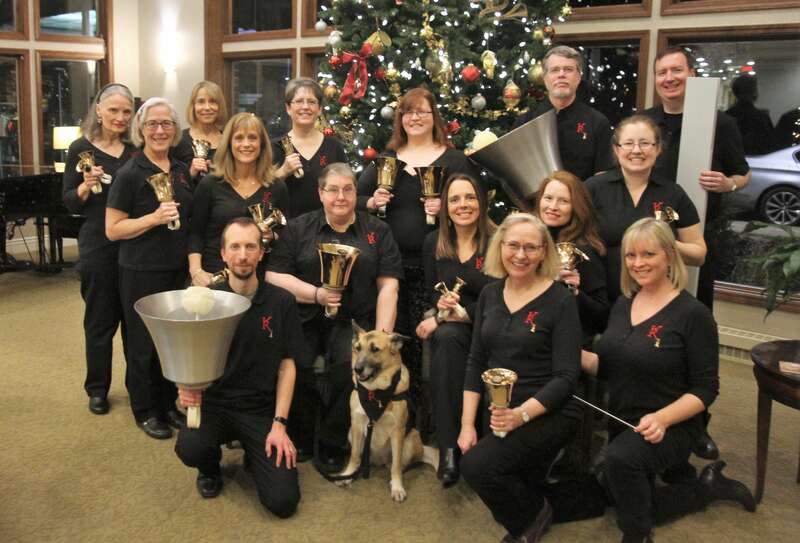 Come celebrate the season with the Kalamazoo Ringers as they play Christmas favorites, both secular and religious, on 7 octaves of bells and chimes! 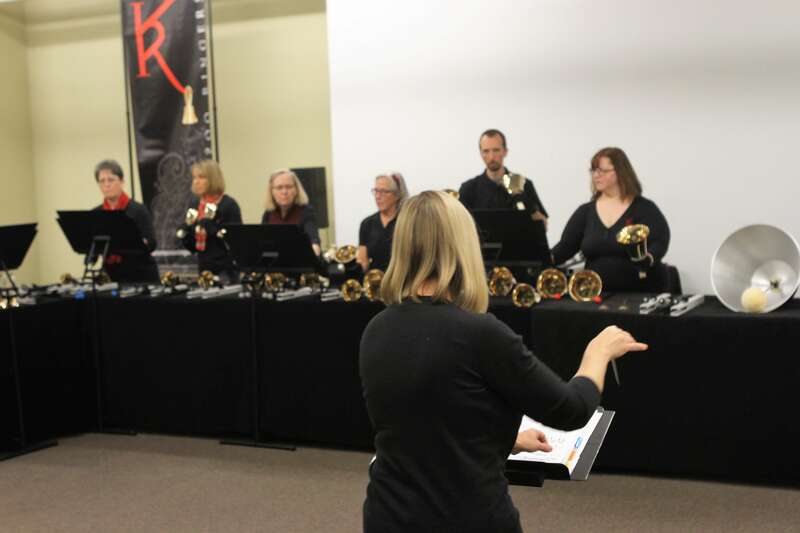 Experience the sound of handbells as they resound throughout the concert space and enjoy songs of the season. 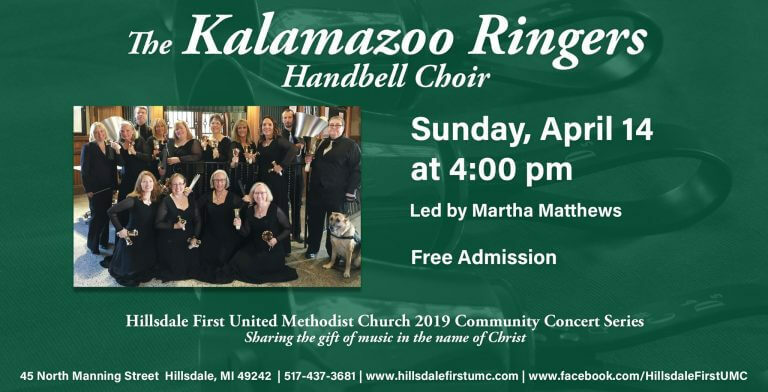 The Kalamazoo Ringers sponsor a community outreach activity where audience members bring hats, mittens, gloves, and scarves for people in the Kalamazoo area. 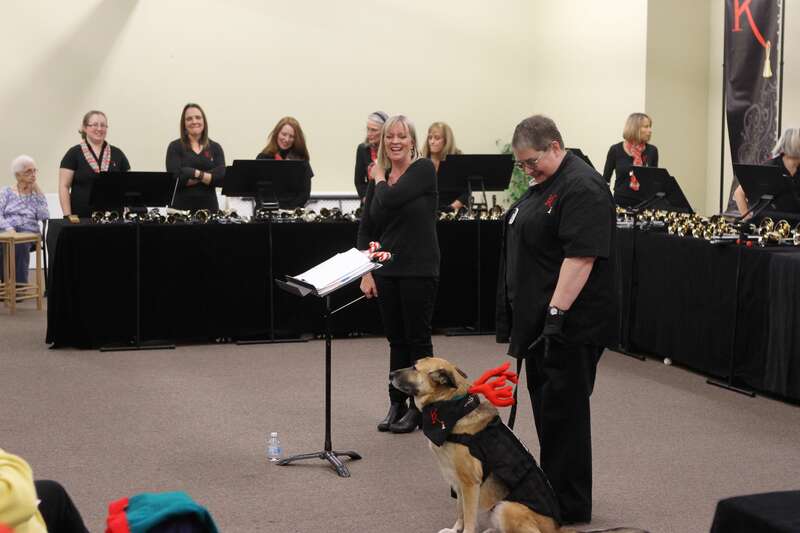 Concertgoers can bring their winter gear donations to the concert and adorn the Christmas tree with those donations. 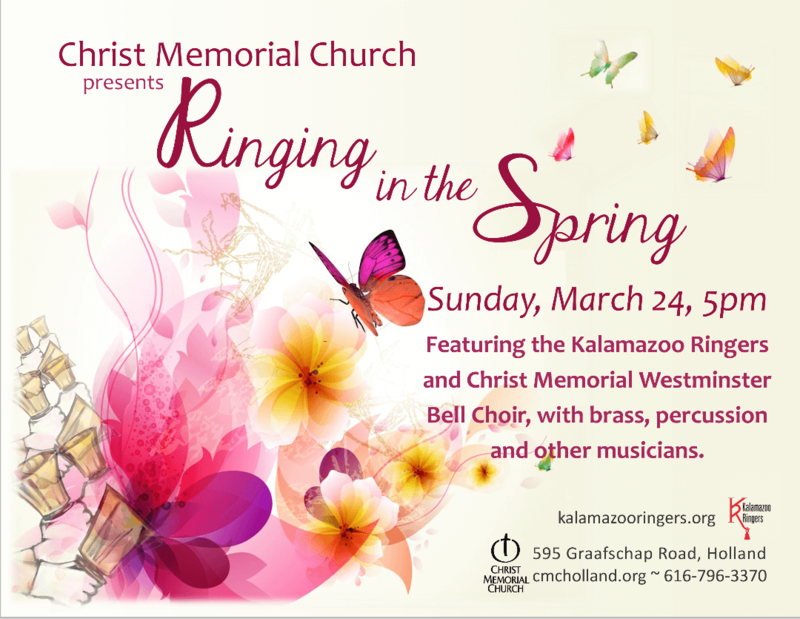 All outerwear will be donated to three area missions: The Kalamazoo Gospel Mission, Ministry with Community, and the YWCA Domestic Assault Shelter. 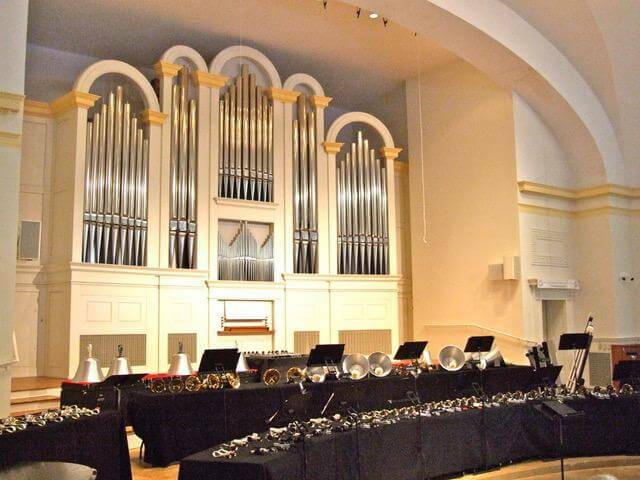 This concert is free to the public and a freewill offering will be taken during the concert. 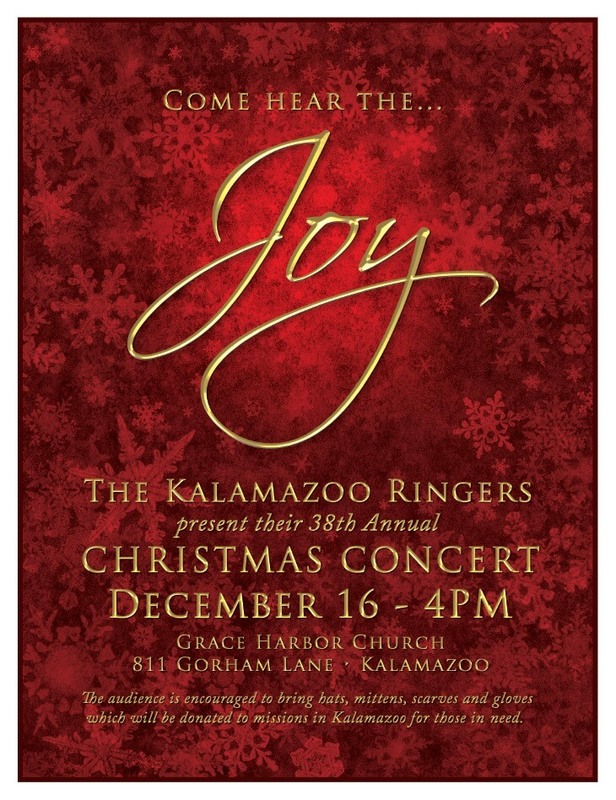 Cookies and punch will be served after the concert so everyone can meet the ringers...please join us! 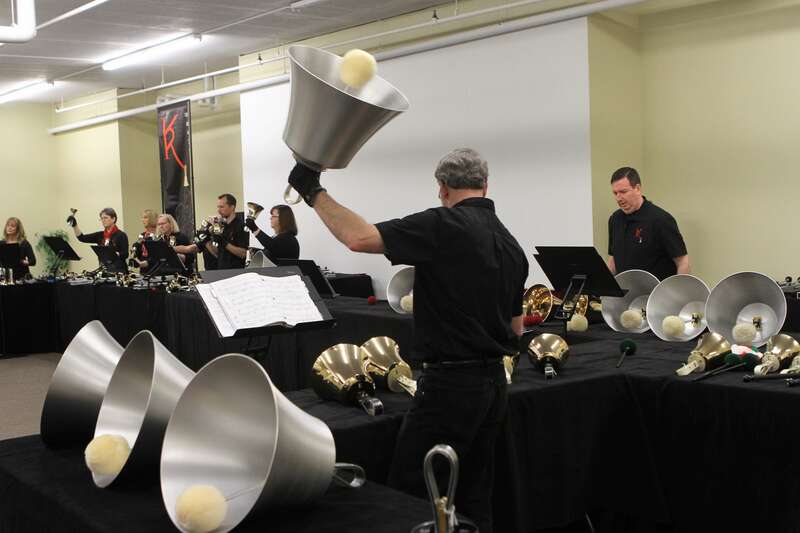 Our audience will also have the opportunity to come to the tables and look at the bells and chimes up close. 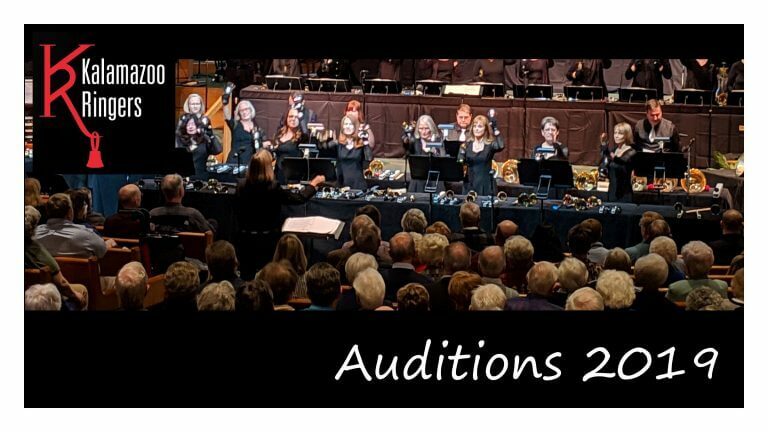 We can't wait to see you all! 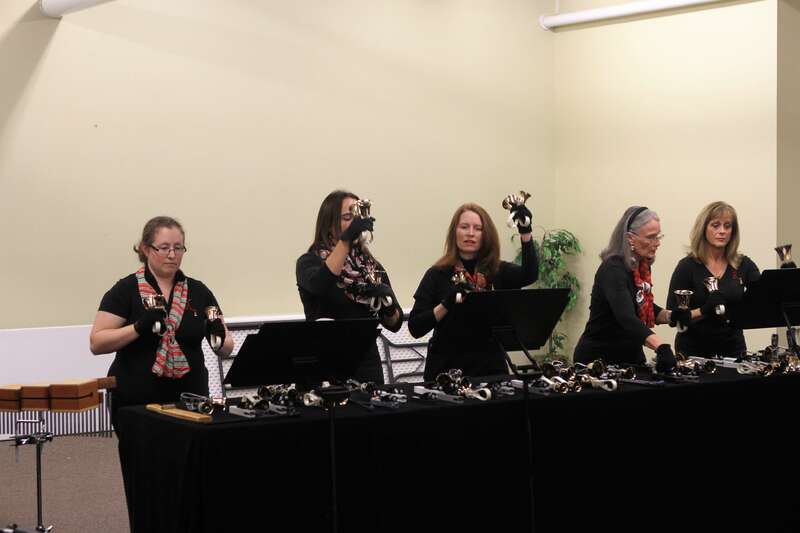 Note: Grace Harbor is a handicap-accessible facility. 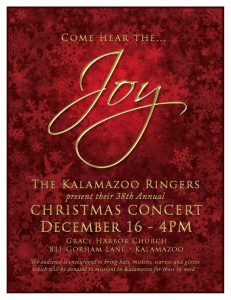 Come join us in Battle Creek at Saturday Afternoon Live for a wonderful concert with the Kalamazoo Ringers!